Asperger Talks™ is Fostering Social Interactions™ by supporting children with Asperger Syndrome. 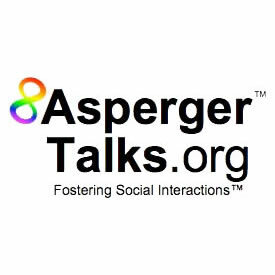 Asperger Talks™ also serves as a forum in which to help establish a common understanding about Asperger Syndrome with the goal of uniting people who are connected to Asperger Syndrome in order to help facilitate and fund community based Asperger Programs for children. Using 100% of voluntary donations and all proceeds from merchandise purchases, Asperger Talks™, through Private Tutor Foundation, Inc., proudly supports 501(c)(3) Organizations offering innovative Asperger Programs for Pre-K thru 12th grade students throughout the United States. Please contact Private Tutor Foundation if you are associated with a Non-Profit Organization seeking supplemental funds to support children with Asperger Syndrome.